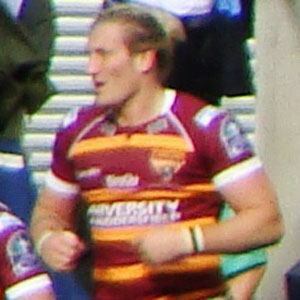 English rugby prop who began playing for the Huddersfield Giants in 2000. He signed his professional rugby contract with Huddersfield on his 17th birthday. He was selected for England's national team from 2004 to 2010 and made 13 international appearances. He was born in 1982 in Cleethorpes, Lincolnshire, England. He was teammates with Ben Foden on England's national team from 2009 to 2010.